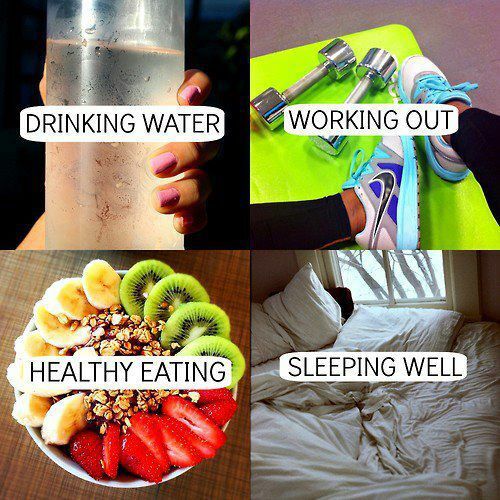 my 4 essentials to a healthy life. I seriously think these are the keys to maintaining a healthy lifestyle! I am on this new kick where I try to drink 8 full glasses of water a day! Do I have to pee a lot…yes! Is it worth it…yes!! I feel more energize, skin seems to be more clear, and helps me stay fuller longer..making me think that a lot of times I was confusing thirst for hunger! Working out also gives me tons of energy! Working out and being active helps wake me up and allows me to set goals for myself and work hard to achieve them. It helps keep me positive and allows me to get out any pent up anger or aggression as well. Healthy eating varies person to person…I think it is key to include a variety of different foods in your diet, including as much fresh and unprocessed foods as you can! What helps me is eating lots of fruits, veggies, grains, lean meats, healthy fats, and also allowing myself indulgences like chocolate and ice cream, but within moderation. Last, sleeping well is key to performing your best. Without adequate sleep I feel groggy and off. Sleep allows us to recharge and maintain focused the following day, so make sure to get your zzz’s! 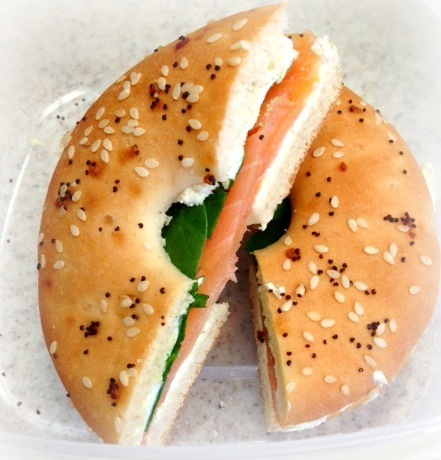 Smoked salmon/spinach/& cream cheese on an everything bagelwich. 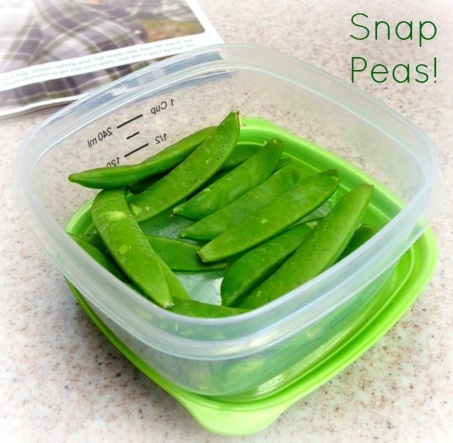 Snap peas on the side for a little extra something to keep me full! Fruits and veggies are my go to sides because they sit heavy in my stomach and make my fullness last longer!